To two Children, may Allah subhanu wa ta'ala protect them. I am not getting paid! There are three people on a journey, Muslim says its enough that I know that theres water over there. Muhsin and Mummin say lets climb the mountain then Mummin said it is enough that I can see the water. The Muhsin is the one who goes to water and brings it to others. Look at yourself, your knowledge is limited. The women in Prophets life (peace and blessings be upon him) are his mother Amina, Umm Ayman, Halima, Fatima (Abu Talibs wife) and Khadija (may Allah be pleased with them). Where are the men? man whose clothes were exceedingly white and whose hair was exceedingly black. 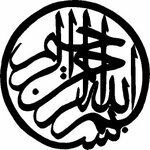 During the caliphate of Ali (may Allah be pleased with him) was when the some people believed that Allah Subhanu wa ta’ala didn’t have pre-existent knowledge. To know the action before it is performed. The companions (may Allah be pleased with them) made a Dukan, a small mound of earth, to sit on. So people could see who he (peace and blessing be upon him) was. Qurtabi narrates a story about a man who copies the old testament in beautiful calligraphy with mistakes and sends it to a Jewish Rabbi. Who after reading it, sends it back and says it’s a wonderful copy and he does the same with new testament and the Christian doesn’t notice the mistakes and says it’s a wonderful copy. When he does this to the Quran. The Muslim scholar says to burn it as its got mistakes. Please see this lecture on Yanabi.com. You will have to become a member. This is a similar lecture but you don't need to be a member to listen to it. Said, "The lies (Western slander) which well-meaning zeal has heaped round this man (Muhammad) are disgraceful to ourselves only." This is a list that Sheikh Atabek gave us at his recent Hajj course; it is a list of fifteen places where the supplication is not refused, inshallah. 15. Inside the half circular of Ismail (upon him peace) - hajar Ismail. 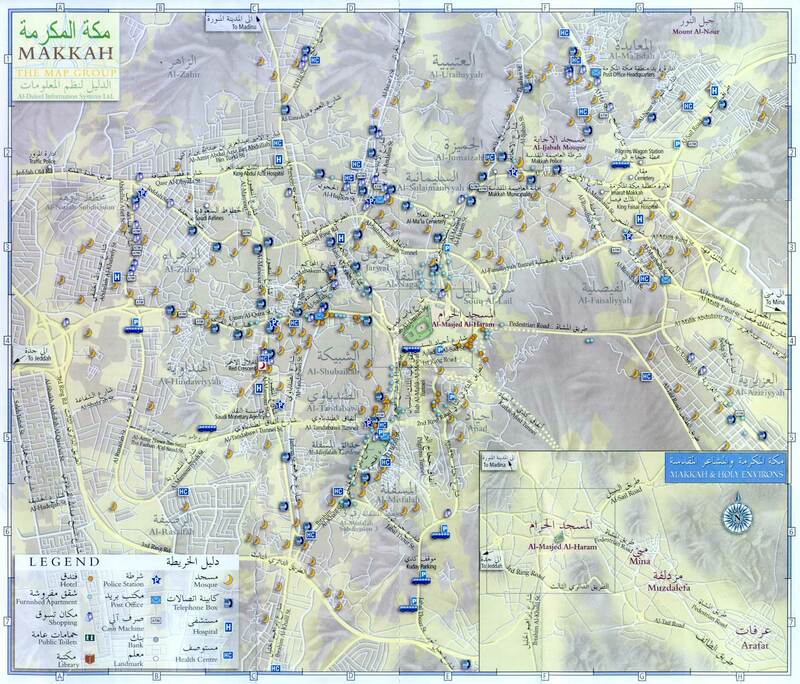 Please if anyone knows a detailed map, please post as a comment and I will add it, inshallah. Why was born as a...? Notes from a talk by our beloved Shaykh Faraz Rabbani. -Steadfastness and thankfulness are two keys to iman and yakeen (certainty). A persons faith is not perfected without these two qualities. -Allah says in the Quran: Allah is with the steadfast- this is a tremendous matter. To be someone who is under the Divine favour or concern is an immense thing. -Hadith - The Prophet (saw) would stay awake praying at night. 'A'ishah said: Allah's Messenger, you do this (in spite of the fact) that your earlier and later sins have been forgiven for you? Thereupon, he said: 'A'ishah, should I not prove myself to be a thankful servant (of Allah)? The basis of the Prophet (saw) turning to Allah tala was being thankful. -We don’t reflect on the Quran. What is patience or thankfulness? We don’t actually know. How can we be something if we do not know what it is? -Allah ta’ala says in the Quran- If you are thankful we will give you an increase-. Increase in what? Everything that is good, in all ways. How much? No limit. -Anytime that Allah ta’ala praises a matter in the Quran we should find out about that matter and try to bring it into our lives. When Allah ta'ala warns against something, find out what that is. This shows sincerity. What is taqwa? What is tawakkul? Get a tafsr and go to the relevant verse and look what the 'ulema have said about it. -Matters are by their definitions. We must find out the definition of things so that we can act upon them. -Sabr - Hadith - And patience is illumination. -Sabr means holding oneself firm on that which is pleasing to Allah. We say 'OK' but we don't actually know how to exercise it. -The reason we don't have patience is because we are not going anywhere. If we have a sense of purpose - we know we will get there. But we have no sense of purpose in our lives - we don't know where we're going. We don't have sabr because we don't have an active nearness to Allah. - We keep failing at sabr because we don't know why we're doing things. - e.g. Shaykh Faraz asked a man in the audience to get up, he said start walking. He walked but then he stopped. Then Shaykh asked another man get up and walk to the door. The man began walking towards the door and didn’t stop until Shaykh Faraz told him to. Shaykh Faraz said what was the difference between them two men? The first he had no destination, sense of direction, purpose. The second did. Another e.g. we want to get to a talk or a class, its cold or raining but we are desperate so we take any means necessary to make sure we get there. - Patience is holding oneself firm on that which pleases Allah ta'ala. We get glimmers, maybe I should do this or that. Patience is an expression of faith. Expression of longing for your Lord. You’ll do anything to seek that pleasure. - You have to have a goal in life. Decide where you want to go in life then do it. This only happens though by reflecting on the fleetingness of this life. -The Prophet (Peace and blessings of Allah be upon him) said the intelligent person is he who controls themselves - (controls their affairs and takes what benefits their akhirah. )The fool is the one who does what he wants then places high hopes in Allah. 1). Patience with the command of Allah. 2) (even higher than the first) Patience in avoiding prohibitions. - People stick to the same bad habits because they have no sense of why they need to avoid it. 3).Patience with people. This is the most difficult. People do all kinds of things. They test your patience, your ego and bad habits - then your character comes out. You are tested in dealings with people. The Prophet (Peace and blessing of Allah be upon him) said the weightiest matter on our scales on the Day of Judgment is good character. -Hilm - Forbearance is the best of good character - definition of forbearance - restraining ones negative emotions. Scholars have said anger and other negative emotions should not move you but you act on revelation and reason. -How do you have forbearance? You will only have it if there is something in it for Allah ta'ala. When you have a motive in it for Allah. When people act in a negative way to you how do you react? Goodness is only possible if your goal is Allah. -Vengeance is one of the most fleeting emotions. -This is where Shukr comes in. -There are two blessings that nothing is bereft of and no one can repay. They are the blessings of 1) creation and 2) sustaining. -Allah subhanu wa ta'ala created you - after this debt you have no claim to Allah. Permanently indebted. Life is a gift. If someone gave you a gift you say thank you. Then they keep helping you out and being good to you for nothing and then your thankfulness turns into something else. You want to repay them, SHOW them how thankful you are. -Allah subhanu wa ta'ala says in Surah tul Asr - By (the Token of) Time (through the ages), "Verily Man is in loss" Sura Asr - we lose because we fail to thank Allah as He deserves and we don’t realise because we don’t reflect. -A believer who has faith can never be depressed. If you feel depressed say alhamdulilah. Reflect on your blessings, keep repeating it, you will become so happy! -What have we done to deserve our blessings? Nothing. What is the difference between you and the person next door who is not a believer? -Gifts require that we give thanks. -Thankfulness - is to appreciate. Appreciate Allahs blessings. Imam junaid said Thankfulness is that you not disobey Allah with what He gave you- it is the LEAST you can do. Not just by your tongue though but by action. Using those blessings in the way that are most pleasing to Him e.g. time or when we smile, the ability to smile, do it for the sake of Allah subhanu wa ta'ala. Ask yourself of each blessing - how can I use this to please Allah? -How do you know in which way is pleasing to Allah subhanu wa ta'ala? - sometimes you don’t, so you realise you need guidance. What is way for guidance? To follow the example of the Messenger of Allah subhanu wa ta'ala. - If you follow him you will be guided . To the extent you you follow him and obey him that’s the extent you will be guided. -Making the sunnah ones standard in life. -Sunnah of following sunnah = don’t be excessive so you don't get overwhelmed. Hadith - Islam is ease, do your best and be steadfast in that and be of glad tidings. -Islam is ease because it leads to ease. Do not take on more than you can manage. -Hadith- Take from good works that which you can sustain. Allah does not tire of rewarding you until you tire of working. -How to be steadfast? - Have a goal and work towards it. -Verily you have in the Messenger a beautiful example for those who seek Allah and the last day and make much remembrance of Allah subhanu wa ta'ala. -Goal is to seek Allah and the last day - key is to take the Messenger of Allah (peace and blessings of Allah be upon him) as an example. -2 principals in life -1).' Don’t ask me I just work here’ - don’t say why is this happening, why that why why why? Just get on with it. 2). Service with a smile. -Never discipline a child when you angry or upset. Sort yourself out first and then discipline otherwise you will end up doing more harm against yourself. -The most effective dua is the one that is followed by you taking the means towards the goal and then to have certainty that Allah subhanu wa ta'ala will answer your dua. Don't just make dua and sit around waiting- do something. -Most important of sunnahs - consultation- every major step in life the Prophet (peace and blessings of Allah be upon him) (consulted- even though he had no need to. Haste is from the devil. From the question and answer session someone asked how to deal with he death of family member or with long term illness. Shaykh Faraz said one can either be depressed and down about it or just be content with the decree of Allah subhanu wa ta'ala and get on with life. -The last part of the ayah quoted at the beginning states '...and those who make much remembrance of Allah.' Keep your tongue moist with His Remembrance, and you will be more aware of His presence and less likely to indulge in bad actions. New York, New York - From the Code of Hammurabi to the Code of Maimonides, most major systems of law have affirmed that apostasy must be punished. In the renowned code of the Roman emperor Justinian (483-565 CE), corpus juris civilis — the basis of all Roman canon law and of modern civil law — apostasy was "to be punished by death" and there was "no toleration of dissent". The Biblical codes stipulate that the "one who doubts or ridicules one word of the Torah — or of the rabbinical authors — is a 'heretic' in the fullest sense, an infidel ... and there is no hope for him." The laws concerning such an unbeliever are very strict: "he may be killed directly". Or as Maimonides, the 13th century Andalucian rabbi and philosopher, advised regarding the abeyance of apostasy law in his era, "his death may be caused indirectly." Islamic law, (shari'a), likewise stipulated killing in cases of established public apostasy. Though there is little literature on the emergence and application of apostasy law in the early periods of Muslim history, its actual application usually depended upon whether its declaration was public or private. Within the Islamic state, what minorities — religious and otherwise — did in their private lives was left to their own discretion, even if it may have been technically termed "deviant" or against Islamic teaching. Shari'a, like all religious law, governs rites of worship and codes of individual and communal conduct and ethics. Contrary to stereotypical notions of religion, the earthly realm within shari'a is in fact pragmatically understood to be essentially secular. From the point of view of religion, the fundamental nature of the human being is to yearn to worship God unencumbered. The private realm of apostasy had thus always reflected more complex dimensions that make ultimate human judgment impossible. The mysteries of the heart and mind are as beyond theology as they are barely fathomable to neuroscience. It is our creative encounter with earthly, secular life that reveals our capacity for usefulness to others, and it is the premier instrument by which our own spiritual station is elevated. Authentic, sincere worship ultimately becomes the daily barometer of our spiritual state. Free, rational debate had always been accommodated within the religious context of shari'a. This was a uniquely Islamic phenomenon, as true in European Cordoba as it was in Arabian Baghdad. Neither the theological abstraction of the Mu'tazilites, a 9th century group of philosophers, nor the unmitigated foreign dialectics by the secretive 10th century group, Brethren of Purity, for example, was ever grounds for removing one from the fold of Islam. The most salient evidence for not punishing "private" apostasy in Islam is the perennial existence of the so-called hypocrites amidst Medinan society despite grave Qur'anic passages against them. Moreover, private "heretical" thought was neither censured nor censored; as long is it was not publicly preached, it was not condemned as such, nor were there articulations of a need to suppress it. Outward or visible stability in the earthly domain is what allows the institutions of civil society to continue. The non-violent resistance of the Prophet Muhammad in Mecca and his diplomacy during the Treaty of Hudaybiyah taught his companions a similar lesson. Under this Treaty, the Prophet allowed people to emigrate without any reprisal, despite the fact that they were abandoning Islam in the process (some having only adopted the new religion for reasons of self-interest). No prophet was ever given the license to pass judgment over the faith of a human being — as the Qur'an repeatedly reiterates, judgment is ultimately with God alone. Hence, constructive service of our sacred traditions lies in showing their relevance as a vehicle of infinite creativity, not in demoting them to preoccupation with judgment of contemporary culture. We need to acknowledge and affirm that diversity and difference are part of the divine intent for creation — that we were made as nations and tribes so that we may "learn about and be enriched by the ways of each other" (Qur'an, 49:13). Provincialism and relativism will always challenge diversity — especially when the latter is disguised as tolerance; and not because people are inherently incapable of living together, either. We need a renewed devotion to the truth, and to seeking it freely through our established non-sectarian, scholarly institutions. Thomas Jefferson exhorted: "Truth is ... the proper and sufficient antagonist to error." It is only through respectful free argument and debate that ideologies can be judged and challenged on their own merits. The reformation that is direly needed — across the entire globe — is the honest reassessment of the original sources of all our oppressive cultural myths and tyrannical modes of thinking. As Muslims, we need to establish a higher barometer for what constitutes competence in the service of the scholarly disciplines of shari'a. This would equip us with greater clarity and confidence and prevent us from thoughtlessly demonstrating in passionate protest every time a passing wind seems to challenge our faith. As religious leaders of all faiths, we need to acknowledge our responsibility for much alienation and estrangement among the faithful around the world. This would begin to re-establish the credibility of our institutions, which would eventually re-ignite the religious imagination of the masses. Lastly, we need a renewed commitment to focus on an ethos of compassionate, selfless service as a public trust; and this is certainly more becoming of the example of the Blessed Messengers that we claim loyalty to. * Shaykh Abdallah Adhami is an Arab-American imam and a leading scholar of Islam. He is currently working on an exploration of the linguistic implications of apparently problematic verses in the Qur'an. This article is distributed by the Common Ground News Service (CGNews) and can be accessed at www.commongroundnews.org. If you are having problems viewing parts five to seven; Wait until the menu screen appears on part four and choose the remaining parts.